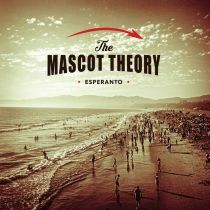 Packing four originals and a live recording into the tasty new EP, “Esperanto,” The Mascot Theory prove reliably entertaining while appearing magically casual and quietly wise. Charming, chiming chords rouse story-teller spells; pithy rodeo fairytales to sweep you off your feet, placing you inside eager choruses with a racing heart and possibly a raised fist. Gentlemen and artisans, the individual talents of the quartet powers a united canvas highlighting lyrical parables delivered in aerodynamic stamina as quick-ripped riffs and tight-knit harmonics fit into descriptive fictions where hearts mend and character engage in intelligent dialogue, struggling at times but often rejoicing. Catch them next headlining High Noon Saloon’s Third Annual Hullabrew May 14th along with Christopher Gold & The New Old Things and The Pine Barrens.